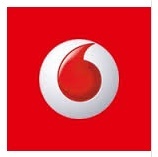 About Us:- Vodafone Group plc /ˈvoʊdəfoʊn/ is a British multinational telecommunications company, with headquarters in London. Among mobile operator groups globally, Vodafone ranked fifth by revenue and second in the number of connections as of 2014. • Implements and enforces security for all of the Oracle Databases. • Performs database re-organizations as required to assist performance and ensure maximum uptime of the database. • Puts standards in place to ensure that all application design and code is produced with proper integrity, security and performance. • Planning is also performed by the DBA, along with the application developers and System administrators, to ensure that any new product usage or release upgrade takes place with minimal impact. • Provides technical support to application development teams. • Enforces and maintains database constraints to ensure integrity of the database. • Assists with impact analysis of any changes made to the database objects. • Troubleshoots with problems regarding the databases, applications and development tools. • Manage sharing of resources amongst applications.